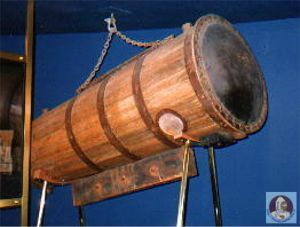 It is made of wainscot perfectly round, about 6 feet in length, about 2 feet and a half diameter at the head, and about 18 inches diameter at the foot, and contains about 30 gallons; it is hooped with iron hoops without and within to guard against pressure. 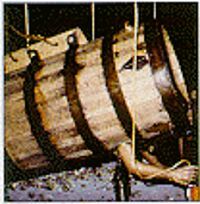 There are two holes for the arms, and a glass about 4 inches diameter, and an inch and a quarter thick to look though, which is fixed in the bottom part, so as to be in a direct line with the eye, two air holes upon the upper part, into one of which air is conveyed by a pair of bellows, both which are closed with plugs immediately before going down to the bottom. 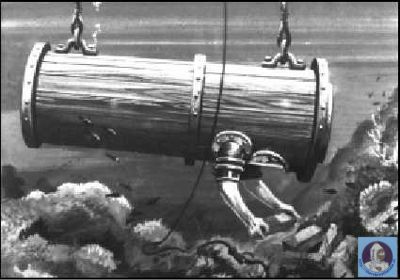 After testing this machine in his garden pond (specially built for the purpose) Lethbridge dived on a number of wrecks – 4 English men of war, 1 East Indiaman (both English and Dutch), 2 Spanish galleons and a number of galleys. 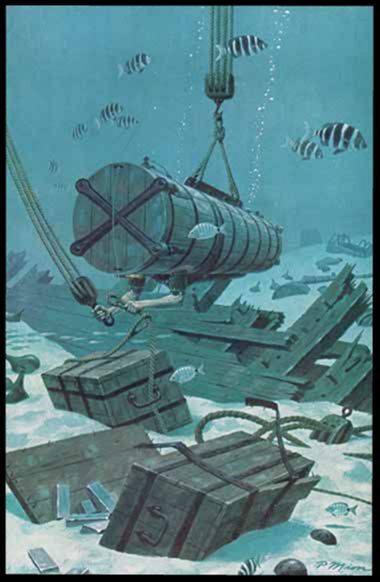 He became very wealthy as a result of his salvages. 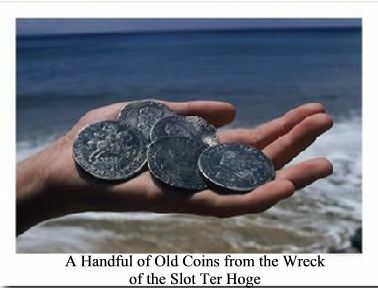 One of his better known recoveries was on the Dutch Slot Ter Hoge which had sunk off Madeira with over 3 tons of silver on board. 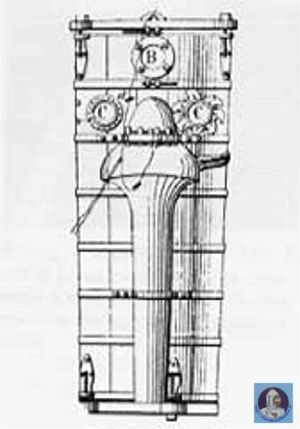 Lethbridge is buried in Wolborough church, Newton Abbot. 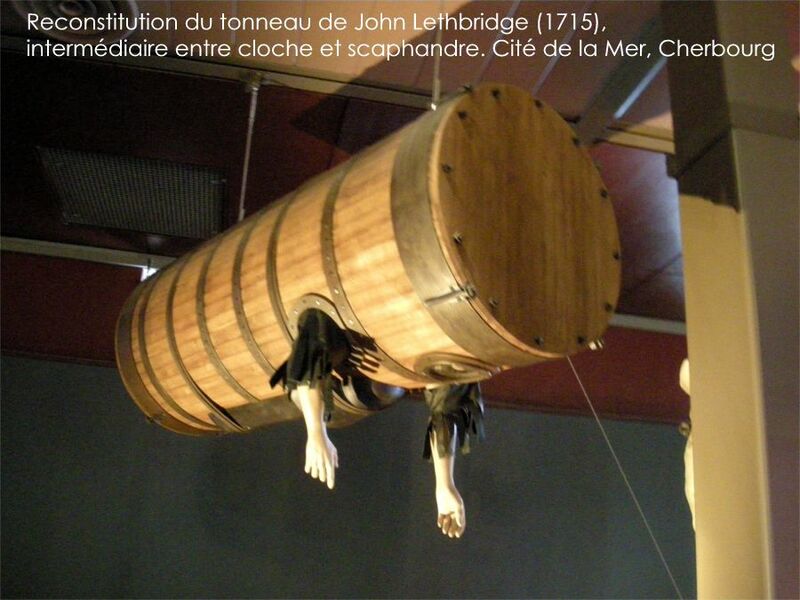 If you have additional information about John Lethbridge, please do not hesitate to send it to me! 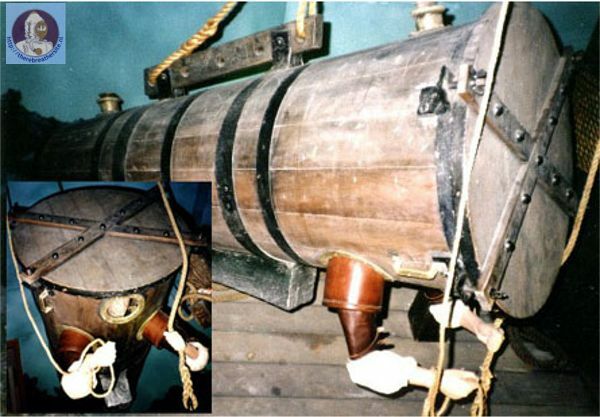 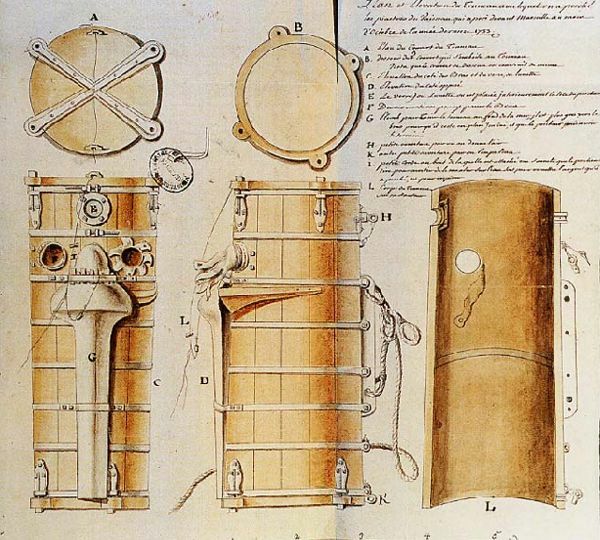 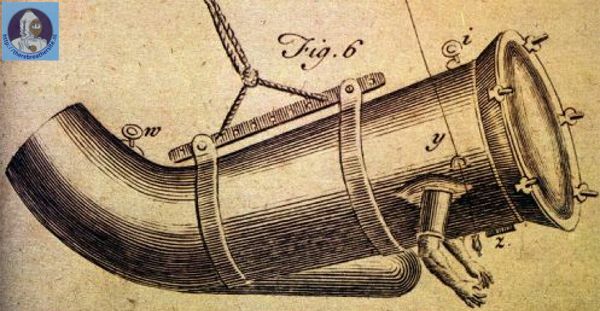 John Lethbridge (1675–1759) invented the first underwater diving machine in 1715. 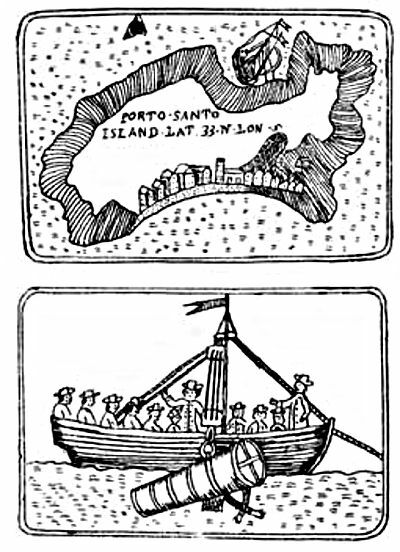 He lived in the county of Devon in South West England and reportedly had 17 children.